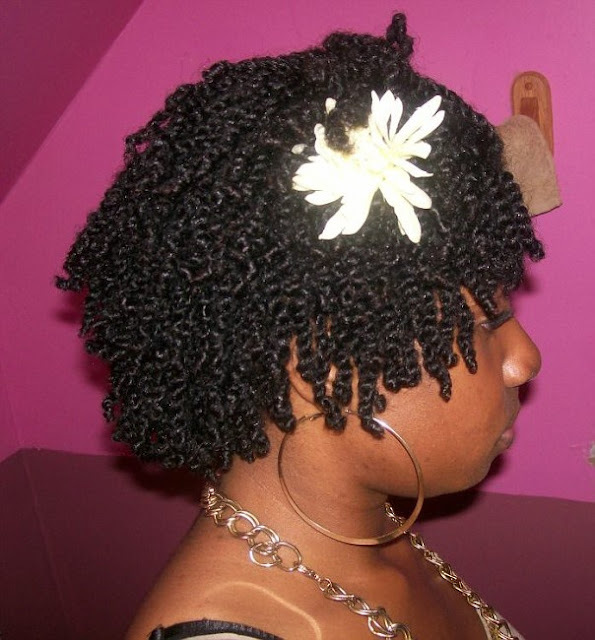 FroStoppa: Ms-gg's natural hair journey and natural hair blog: You Got Me Twisted Over Yeeew! This is my routine for doing my hair permanently. I have washed my hair then let it air dry without stretching it out, and now I'm suffering. Shrunken fros are a heck no for my hair. 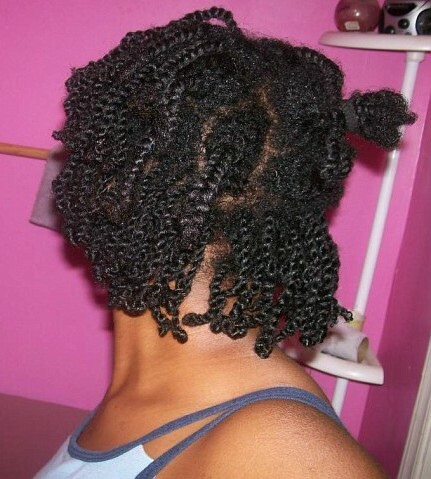 Single strand knots and multiple strand hair knots out the ying yang. So here is what I did this go round. I detangled with Paul Mitchell's The Detangler (uh oh...getting fancy with it now lol), then after each section I immediately braided them up and let them air dry overnight. That detangle/braid/wash routine took about 2 hours. The next day I split those braids up into the ones you see in the picture so I looked "halfway" decent for work (yes I rocked it and didn't care)...when I came home I began working on the twists which took tooooooooooo long. erh......7-9 hours.....needless to say I dont care if each one looks like a fuzzball...these janks are going to be on my head till the end of the month. Im tired of twisting/retwisting my hair and I want a break from it. I have some teeny tiny hands and these twists are smaller than my pinky. If I get that bored I might just count how many of these thangs I got. Im sure it is at least 100. Took multiple sections down, parted across the rows once hair was well moisturized and detangled ( I used elastic qp mango to moisturize with and combed through each section) then just carefully grabbed and twisted from there. About 1 inch from being done I always dab a little aloe vera gel on the ends as Im twisting and I dont just immediately let go of each twist when I get to the end. 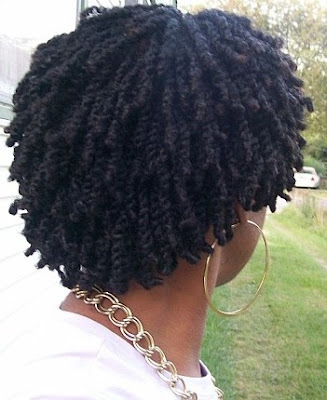 I release a little tension from the end of the twist and my hair starts to spin around and around from the twist just loosing up a bit (I hope Im making sense to somebody) As it is doing this my ends are coiling around each other and then I keep moving on to the next one. Not bad progress if I say so myself. I knew that color was hindering my growth! Also I notice my hair is thicker. The picture on the left is of hair that was just grabbed and twisted. The hair on the right is of hair that was parted....and in which picture do you see the scalp in? Uh huh...yeah...color is the DEVIL. BIG BIG BIIIIIIG difference. It is the whole reason why I cut it off. My ends look 100000% better. I used the same exact technique to twist with in both pictures (seal ends with aloe vera gel). Once again, I will reference back these pictures if I EVER EVER EVER think about putting color/heat/perm or any other harsh thing in my hair.